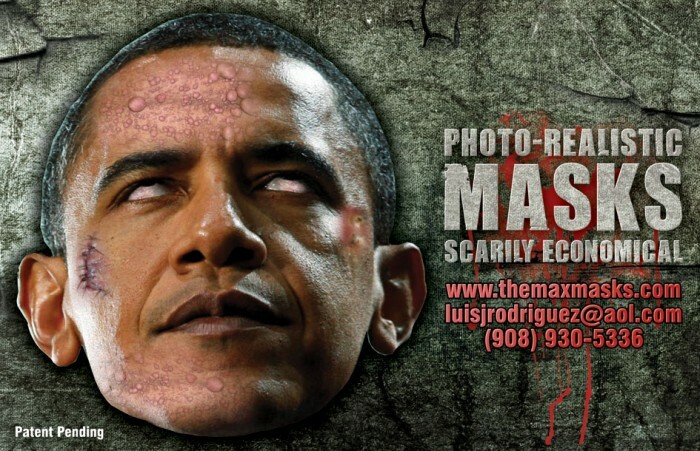 A mask that is printed on a flexible substrate material, or a flexible substrate material assembly of layers so all facial features can be substantially depicted. A plurality of clear areas void of any printing allows to see through the substrate or the substrate assembly of layers. The mask may alternatively depict images other than facial anthropomorphic features, or simply monochrome or patterned abstract designs. 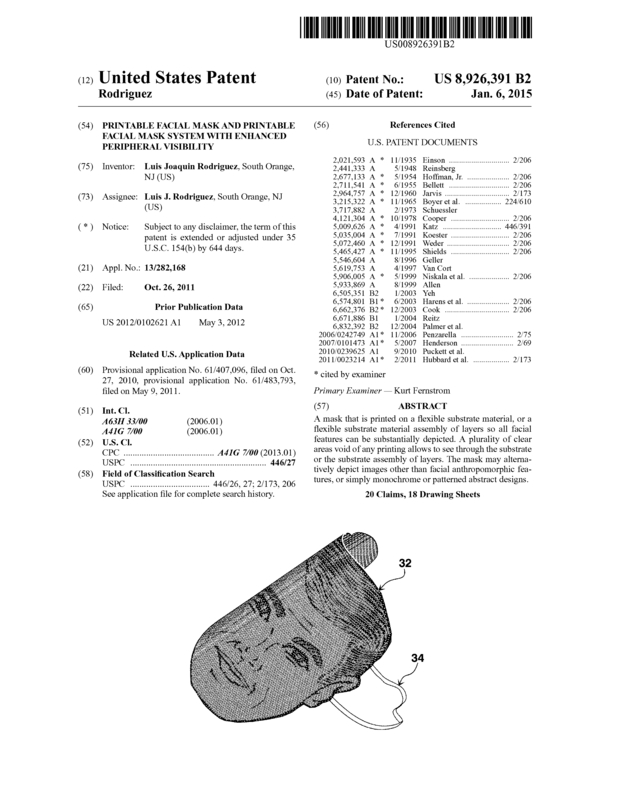 Page created at 2019-04-21 18:21:08, Patent Auction Time.